Week 41 – I’ll take a 1 pound loss, thank you. Greetings to you all. Today is my weigh-in day. I was concerned about today this week. Since my last weigh-in I have been ill. I have been battling a head cold that I have not yet completely shaken. As a result, I have made only one trip to the gym (my dismal looking challenge update is below). And, while I was home for a couple of days, I indulged in some more comforting food. But, at the end of it all I ended up with a 1.0 pound loss for the week. This week I weighed in at 239.6 pounds. I am now down 105.4 pounds total, or 30.6% of my original body weight. All is most definitely not lost. 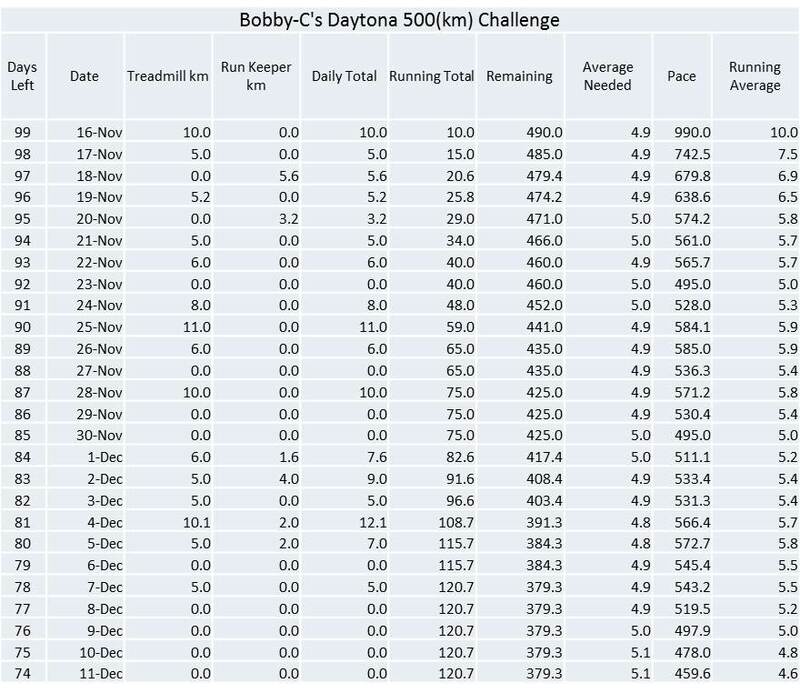 I need to average 5.1km per day for the remainder of the challenge. Considering that in the 10 days before getting ill I was averaging 5.6km per day, that will be very reachable. First, though, I have to get healthy. So, that is it. For the week ahead I will hopefully be back to walking daily, and I will be staying on track with my food and eating.